Because I work in the Health & Social Care sector I cannot help but think about how I want to live in my later life. What I also think about is the importance of having a plan in place and the earlier we start to plan the better the outcome. But it is often the case that until care or support is needed little time or thought is given to it. I think the reason that some of us may be reluctant to consider our options earlier is because the decisions are often complex. 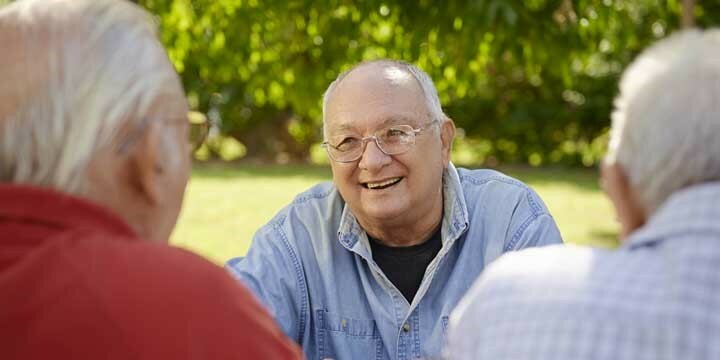 One of the most challenging aspects is that we're potentially realising that we may not be as indepdendent as we once were, and for family and friends tackling a conversation, that suggests their loved one, may need help and support can be very tricky. I write not only from a professional, but personal point of view. My brother and I have had conversations between ourselves as to how to best speak to our Dad about whether his home, of many years, is suitable for him now following a serious illness and reduced mobility (I struggle to walk up his stairs). Our Dad is not a difficult man but a discussion like this means us all facing up to him getting older and becoming more vulnerable and the dynamics of the relationship changing, something that none of us really want to face. However, we did it because we weren't prepared to wait for an accident to happen which would force change and mean choices being taken away from him. It's much better that we discuss it and plan together, after all, our goals are the same; to keep safe and as independent as possible. Thankfully when the subject was broached he'd been thinking the same! The areas to consider when planning fall into three broad categories; financial, logistical and emotional. It's never too early to plan financially, this means not just a pension pot but funds that will allow us to adapt our home, should we wish to stay there. Consider the cost of care at home, it's sensible to start to have suppot on a weekly basis to get used to the idea of having someone come into your home to help with chores. Once the trust and confidence has been built it's easier to increase the support as the needs change. There are assisted living developments as well as residential care options which will also require funding. Logistically, know where you want to reside and make sure your family and friends are aware of your choies too. Not everyone has family or friends close by so maybe a community will become more important, being close to a village or town where you have the option of taking part in social activities with others. Finally the emotional aspect, take control and let others know your wishes. Don't be afraid to have the discussion, older age will, hopefully, come to us all so let's put it on the agenda sooner rather than later.